"He Who Is Transplanted Still Sustains"
"Take a load off Annie"
For more information about Federal Assistance and Nutrition Program Payment Options (WIC, SNAP, SFNMP) click here to jump down this page to read summaries of each, with links to more information. 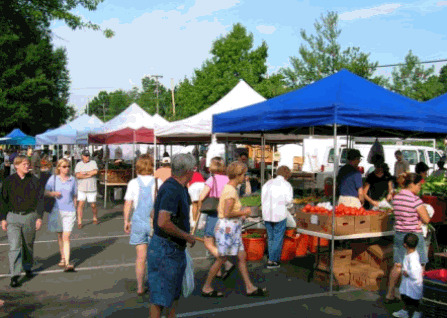 If you wish to find specific market names or find which farmers markets are in specific counties or cities (for example), try the above map's search box at top right in the map, or search the following directory listings by using your browser's "find" function to highlight specific words on this web page. (In Chrome browsers it is listed as "Find..." in the customize browser menu from top right.) Then you enter your word in the box that opens at upper right of browser window, then click down arrow. Your entered words will then become highlighted on a webpage wherever they occur. It's a handy little search tool for pages with a lot of information. Of course cash is king at all Connecticut Flea Markets and Farmers Markets, so you can't go wrong by bringing plenty of "all-mighty Dollars" with you. But if credit cards are accepted, you have the added benefit of a Federal law which limits your losses due to fraudulent credit card transactions to only $50. And there may also be protection through your credit card company against disputed charges or quality of goods. Something to think about in case you happen upon a big ticket item like furniture, tools, or antiques. So plastic may be the way to go in some cases. WIC or "Women, Infants, and Children Program" is a Federal assistance program for postpartum non-breast-feeding, breastfeeding, or low-income women or infants and children (up to 5 years old) found to be at risk for nutritional deficiency. 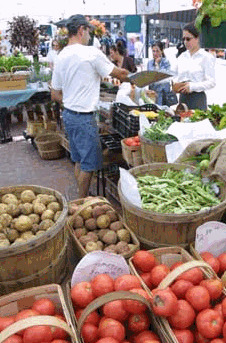 Your Connecticut WIC agency may provide nutrition education, health care referrals, or supplemental food vouchers good at your local Flea or Farmers Market via your state's WIC Farmers Market Nutrition Program. SFMNP or "Senior Farmers Market Nutrition Program" is a Federally funded nutrition program designed to assist low-income senior citizens (generally 60+ years of age). Your Connecticut SFMNP agency provides qualifying seniors with coupons that can be used at eligible community supported agriculture programs, roadside stands, or Farmers Markets in Connecticut for purchase of "fresh, unprocessed, and nutritious fresh-cut herbs, honey, fruits, and vegetables." Non-eligible items include: wild rice, molasses, maple syrup, cidar, nuts in any form, dried herbs, dried fruits & vegetables, and potted herb plants, vegetable plants, or fruit plants. 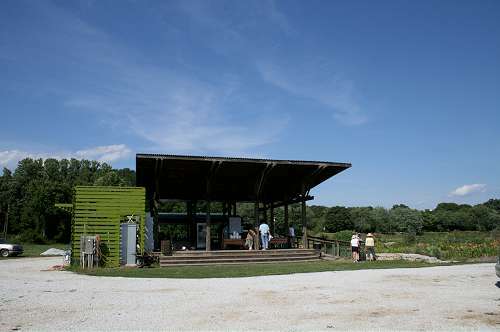 Only state agency authorized farmers markets, road-side stands, and CSA's may accept or redeem SFMNP coupons. 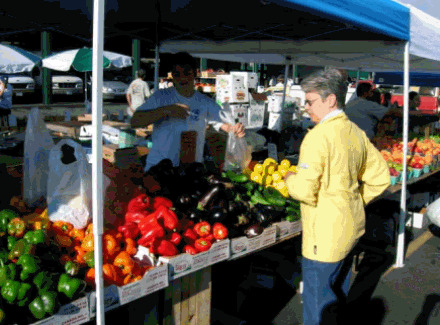 Individuals reselling produce grown by others do not qualify to accept or redeem SFMNP coupons. 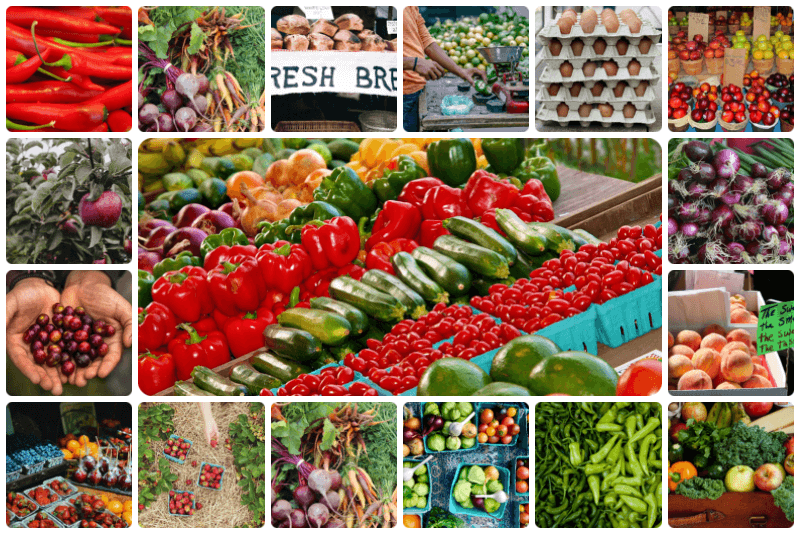 Contact your SFMNP participating state agency if you would like to inquire about getting a farmers market, road-side stand, or CSA program qualified for SFMNP participation. SNAP or "Supplemental Nutrition Assistance Program" (formerly the Food Stamp Program) puts healthy food within reach for 28 million people each month via an EBT card used to purchase food at most grocery stores. Through nutrition education partners, SNAP helps clients learn to make healthy eating and active lifestyle choices. 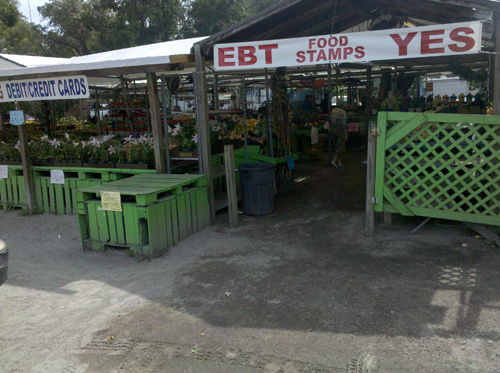 Food Stamp Cards, otherwise known as SNAP EBT or "Electronic Benefits Transfer" is accepted at a growing number of farmers markets and retail food stores. Find out how your market or store can be authorized to accept SNAP payment. Contact your local market locations ahead of time to find out whether SNAP EBT payments are accepted. Usually when paying with SNAP EBT cards, cash can not be given back and only eligible SNAP foods may be purchased at the point of sale. 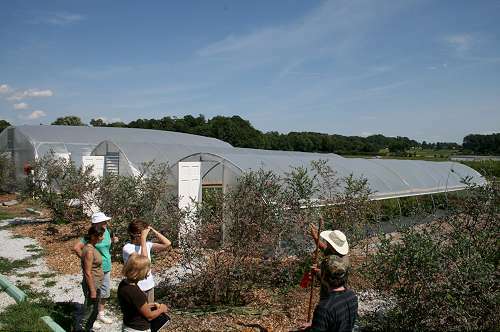 More Resources to Help You Find Fresh Local Foods Produced by Sustainable Agriculture, Join the Slow Food Movement in Your State! 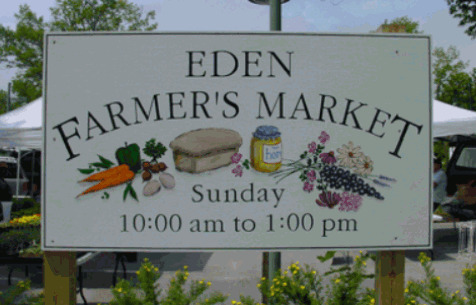 By regularly visiting your flea or farmers markets you will likely be supporting your local economy, environment, and the small farm families that take great pride in the bounties of the Earth they cultivate. 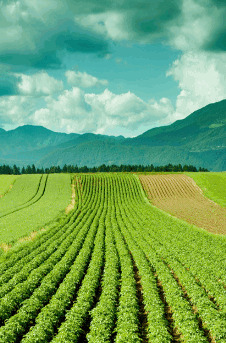 Local fresh organic foods grown in harmony with nature is at the heart of the growing sustainable "slow food" movement. You too will reap what you sow when you resurrect and cultivate the wise and frugal by-gone era family tradition of practicing a weekly "Market Day" in your town. Enter your town, county, state, or zip code, and specific keywords related to the type or source of sustainably grown food you seek. For example: "free-range eggs washington dc"
The National Sustainable Agriculture Information Service has an excellent resource to help you find local food directories and related promotional programs in your state. 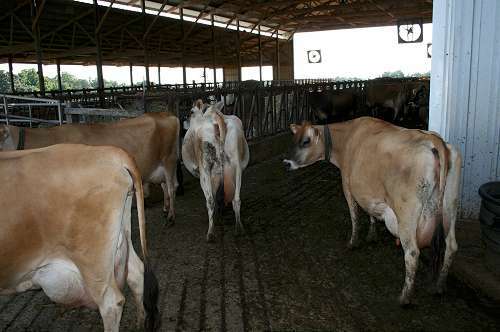 LocalHarvest.org is another excellent resource for finding sustainably grown local foods such as grass-fed meats, fresh honey, free-range eggs, local dairy products, and organically grown herbs, vegetables, and fruits. As their name implies, they make it easy for you to find local harvests from nearby small farms, meat processors, wholesalers, grocery co-op's, CSA's, restaurants, and farmers markets. 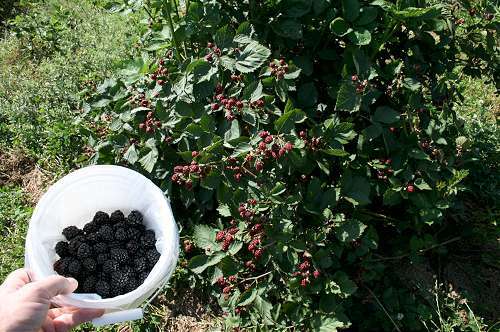 The U.S. Department of Agriculture’s Agricultural Marketing Service administers all sorts of local and national programs to help bring growers and consumers together. Take it from me, carrying just a few pounds of farmers market finds like bags of fresh fruits and vegetables will tire your arms out very quickly, put more strain on your feet, and will have you wishing you had prepared ahead of time to bring some sort of market bag, basket, or wheeled shopping cart. Below are some suggested items for making your market stroll a lot more convenient, efficient, and enjoyable. I particularly recommend one of the below shopping carts with folding chair built in. 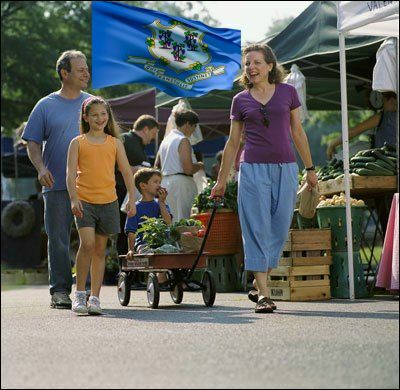 You can always tell who the more savvy Connecticut Farmers Market shoppers are because they will be the ones hauling their goodies around in the collapsible trolleys, strollers, shopping carts, and market baskets. Tip: Old Baby strollers and beach carts are also great for hauling things at flea or farmers markets. 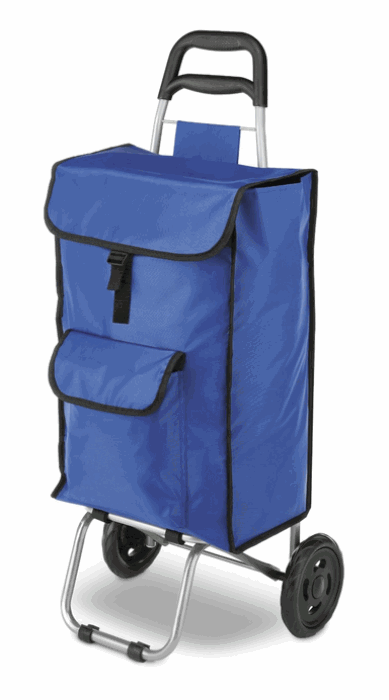 Something durable, light-weight, collapsible, and easily able to roll across rough pavement or gravel is a good idea. My family just discovered a great local source of deeply discounted groceries here in South Carolina where we live. We saved hundreds of dollars on our first trip there recently. 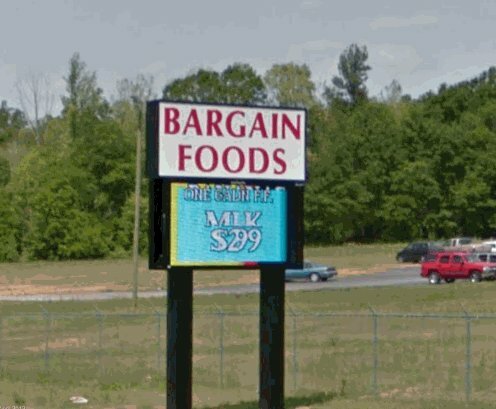 It's called Bargain Foods in Pelzer SC, and it's like a Big Lots for groceries. You can buy extremely cheap food in this mega discount food warehouse because they are legally selling outdated grocery items and closeout food specials from other supermarket chains. How about in your neck of the woods? Are there any of these type deep discount or "scratch and dent" stores in your area? Please use the above form to share your Connecticut bargain food store locations and tell us all about it. 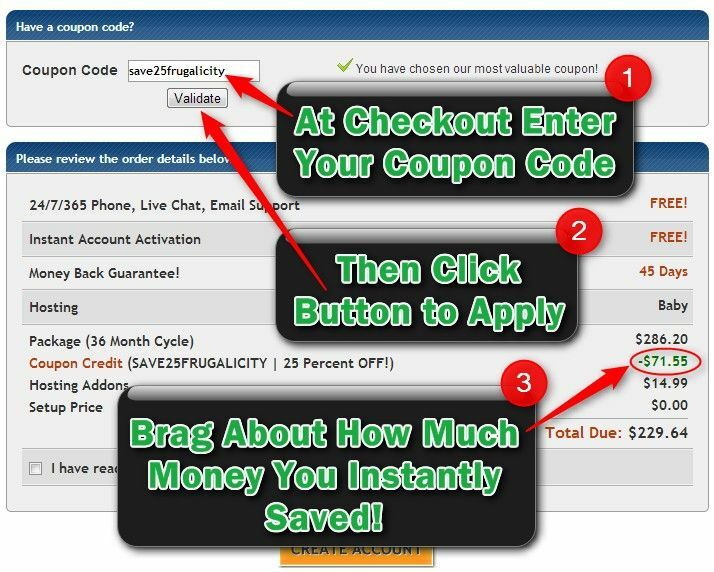 You'll help a lot of frugal families looking for ways to save money on groceries...even if it might mean sacrificing a little quality. 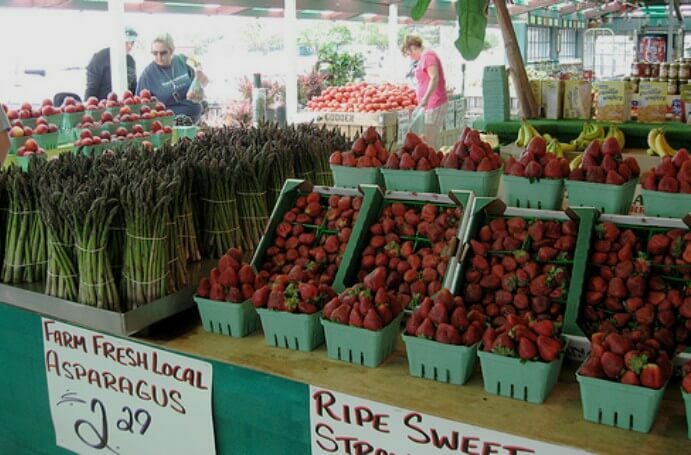 Don't miss my lists of frugal shopping tips and tricks to help you save money at your local Connecticut Farmers Market, plus links to all the other state farmers market directories and maps. Date of last update for individual farmer market data points will vary and is listed at the bottom of each map pin info. box which opens when each map pin is clicked. Please see accuracy disclaimer in the above map's footnote.